Naruto: Naiteki Kensei is a free stand alone game that offers a unique fast-paced experience based on the hit Japanese anime Naruto. Players are able to compete online using a system that combines aspects of a third-person shooter and an action-based fighter to provide a new thrilling experience. The system includes casting clever and powerful Jutsus, stringing together Melee combos, evasive acrobatic free-form Movement, and utilizing an array of Weapons with multiple functions all seamlessly. Post news Report RSS	NNK R1 Officially Released! NNK has finally been released to the public! Why are you still even reading this?! We've done it! NNK has been officially released to the public! We're very pleased and we can't wait to see see you guys in-game! Download Links can be found at the bottom of this post! The Release Party was a huge success! We had even more listeners than our appearance on Podcast 17! We'd like to thank everyone who joined us in IRC and those who listened in on our Shoutcast! If you missed the Release Party and want to catch up on what happened JoeJustJoe was kind enough to keep notes which you can read here. Much thanks Joe! If you're new to NNK, which all of you are, there is a great Tutorial Mode that teaches you all you need to know to prepare for battle! Simply click create server, set the map to nnk_academy, and change the game mode to tutorial. This will guide you through the basics of controlling your ninja and is highly recommended. As with any new game, there is bound to be a few issues that we didn't catch. One of the issues you may run into is having your character stuck at times. If you find yourself in a situation like this, press the B key or open your console with the ~ key and type in unstuck. This will move your character away from potential sticky situations. We're going to work on getting you guys a patch as soon as possible. In the mean time if you run into any trouble please post in our Help Forum to find ways to resolve your issue. See you in the servers! And remember, Vote for NNK in the MOTY 2009 awards! Hey, I got an error after I downloaded, installed and ran the mod. It says it can not load the client.dll Can anyone help, please? It doesn't have to do with Steam, I had this problem also. I solved it by moving the dll to another folder, this allowed me to start the game at all. Then I went to video options and changed the rendering mode to openGL, then I exited the game and moved the dll back. Thank you. I was having this problem after i changed from OpenGL. how you play without steam ? If you have legal copy of Half-life then you should be able to get it into Steam just like I did with my Unreal Tournament III. Maybe it was "Activate product on Steam" under games tab in Steam. You have to enter the CD key there i think. You can't install it into steam with a CD though, it has to download it. wow, for a mod that uses the goldsrce this art style makes it look really good. nice work gents and even though i hate naruto, i will try this. All the hard work has finally paid off. This looks awesome! Downloading now! One of the best midi tunes/cracktros on a install ever. Waiting to experience this awesome game. Well I changed the OpenGL to software it keeps crashing I reinstalled it and it still keeps crashing I'm using steam also. And when I tried to join a server using OpenGL it would send me back to the main menu... Help? like its sends you back to the main menu after you finished loading? if so try to rejoin, its a "client timed out" thing that we have going on, avoiding afk people and stuff. I can't get in game, because I keep getting sent back to menu. 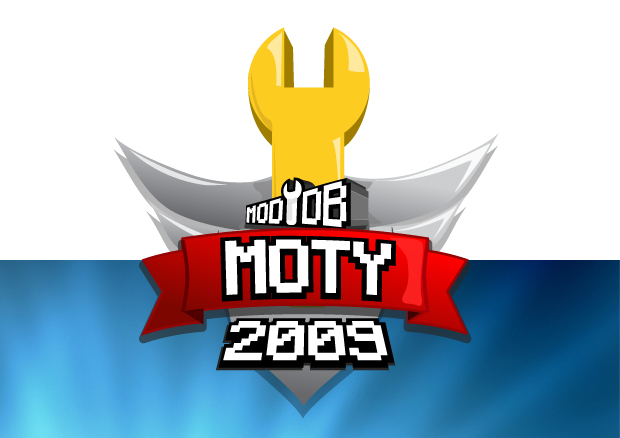 make sure you get this on Desura! guys if you need support, please try to join the forums. I've been having a lot of trouble connecting to servers on NNK. 2: So far NNK has frozen up("program is not responding") 3 times at the "parsing server info" stage of connecting. 4: Probably not a problem with the game, but I'll post it anyway just in case: two of the servers up are dropping me with "Illegible server message: svc_bad", which I found to be a problem with my previous router's security firmware. 5: At one point I crashed with the message "fatal error: bad model or beam (no sprite)"
6. Some weird transparent moving "texture" covering the screen in OpenGL mode, tried changing NNK settings like disabling blur, DOF and stuff but didn't work. D3D doesn't work, setting it on makes Client.dll error appear, luckily by removing it from the folder, the game starts and can set back to OpenGL. By not putting it back, the graphics are broken either way. Radeon 4650, latest driver, Win 7 beta x64. Although im not a fan of Naruto, i have followed this mods progress and it is absolutely amazing what you guys have done, congratulations ! Downloaded already buddy ! Cant wait to give it a whirl in the morning. The instruction at "0x7c9204fa" referenced memory at "0xfffffffd". The memory could not be "read"
From the trailer, the walking and running animations are WAAAAAAAAAAAAAAAAY off, resulting in the models looking like they're sliding on the ground. Anyone notice this? Great work guys, looks great. I'm not a Naruto fan, but I do like fast paced fighting so I'll give this a try. Uh, i cant play this mod at all, I can launch the game and mess around with the options and stuff (i didn't apply the settings though) but when I try to join or create a server, the entire game just freezes and I have to manually shut it down, i wait for around 8 or 12 minutes on average and it still just sits there frozen, i don't know if its i have to wait a little bit longer or compatibility problems or something else, I don't know, I can tell you that I'm running a windows vista 32 bit if that's any help at all. Well, ****, every time i load it doesn't get passed the parsing of the server, and i timeout. and it's on my firewall exception list. Just want to ask, Is there a bots in this mod?? Hosing my own server lagg is still there. Hate to say it but I think this mod should have been cooked a bit more before it was taken out of the oven sort-of-speak.. Fantastic guys. Pat yourselves on the shoulder and get a breather while kicking our arses ingame. - Jesus Christ! This mod looks so good, I can't believe it's a mod and I can't understand how this can be on Goldsource Engine! A great achievement! Congratulations on this beautiful release! Gameplay feels solid when playing, however, freezing during loading and parsing (I'm a patient guy and that wasn't a simple long loading-time) as well as untimely disconnects (asking if router ports are properly configured, which they are, and this being only game that ever had any problems with said router) as well as rare times where establishing connection to some servers seem to be a problem too. There seems to be a lot of sudden disconnects, without any following message, too. i will be leeching after downloading! ain't there any dedicated serve for it? cause the steam ones are so ******.. I instaled the game can somebody to tell me how to run it now?